Fire Retardant MDF is suitable for use in internal dry conditions for non-structural applications; ideal for applications such as wall linings, partitions, display panels and so on. The product is available in a range of thicknesses with either a Euroclass B or C fore rating in accordance with European Standards. The boards also carries 60 minute (Euroclass B) and 30 minute (Euroclass C) fire ratings under BS 476: Part 22: 1987 for use as an internal wall partition. BS EN BS 476: Part 22: 1987 – Fire rating when used as partition walls. 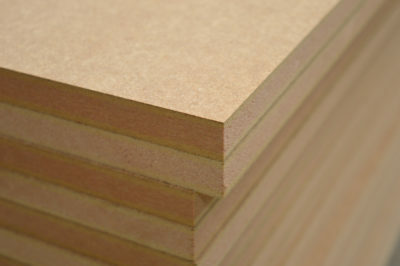 Hanson Plywood sources its collection of Fire Retardant MDF Panels from FSC® & PEFC™ Certified forest concessions. The company’s robust Chain of Custody management system ensures that these certifications are respected and adhered to throughout the supply chain. For further information, please refer to our Environment Page. The panels also emit extremely low levels of formaldehyde and can be purchased as CARB Phase 2 compliant. This means the product’s emission level is tested by the California Air Resource Board to meet a permissible level lower than that which is dictated by the European Standards (E1 under EN 717-2).